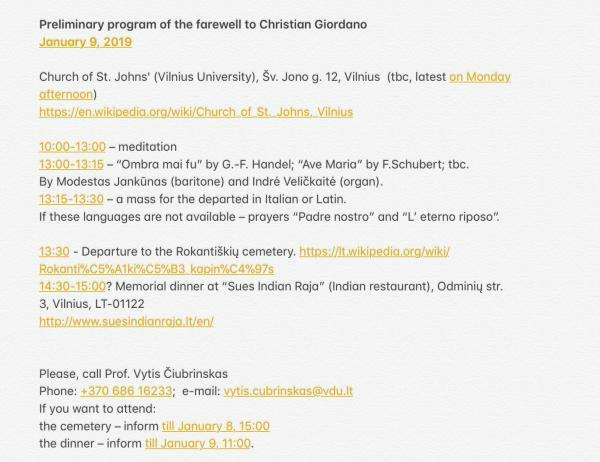 Prof. Christian Giordano has passed away on December 30 in Vilnius. Please share a clear memory of This great man, great teacher and scientist. The funeral will take place on January 9th. Dr. Alina Žvinklienė has taken care of it. The program of farewell is attached. "Peoples and Cultures of Africa", Dr. John C. McCall (Department of Anthropology, Southern Illinois University, USA).The objective of this course is to get past the misinformation and stereotypes about Africa in mainstream media, and gain deeper insights into the problems and potentials of contemporary Africa. This course examines African societies from an interdisciplinary perspective. After an overview of African history, the course focuses on life in present-day Africa. The course will take place February 5 - March 28 2018. "Anthropology of South Asia", Dr. Robert Parkin (University of Oxford, UK). Šiame kurse bus studijuojama Pietų Azijos (Indijos, Pakistano, Nepalo ir Šri Lankos ir trumpai kitų regiono šalių) antropologija. Kurse bus aptariama kastų etnografija ir teorijos, Indijos religijos, giminystė ir lytis, politika, nacionalizmas ir etniškumas regione, politinė ekonomika ir migracija. Kursas vyks 2018 m. vasario 28 - kovo 10 d.
"Anthropology of Mediterranean Region". 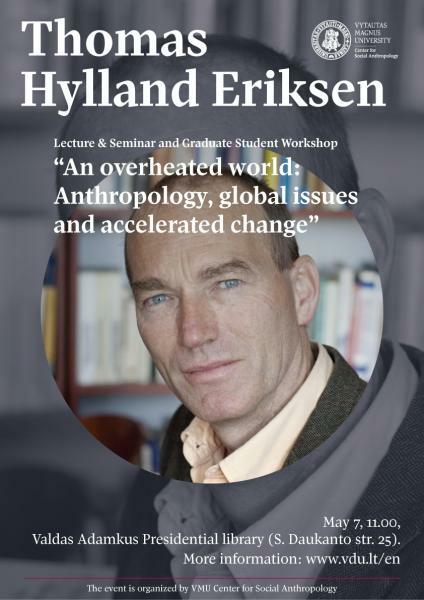 Christian Giordano (Institute of Social Anthropology, University of Fribourg, Switzerland). Kursas vyks 2018 balandžio 5 - balandžio 14 d.
Workshop and Baltic Anthropology Graduate School International Conference and Workshop 6-7 October 2017, Vytautas Magnus University, Kaunas. More info. Social anthropology programe is designed for those who are keen on discovering and understanding new cultures and societies as well as learning to recognize codes of behavior by different communities. The Program combines classroom and experiential field-based learning activities as appropriate for each student’s career plans. The Program teaches students how to carry out independent scientific research and conduct independent ethnographic fieldwork as well as apply other methods of inquiry. Duration of studies - 2 years. Due to international cooperation between Vytautas Magnus University (VMU) and Southern Illinois University (SIU) the Program students can be certified for the SIU Certificate in Intercultural Understanding by completion of the 18 ECTS credit module of studies offered by the SIU Department of Anthropology, given on VMU campus as part of their degree studies. The Certificate from SIU is issued alongside the MA Degree from VMU. We would also like to inform those interested in joining the program, that the application are being accepted until the 27th of July. 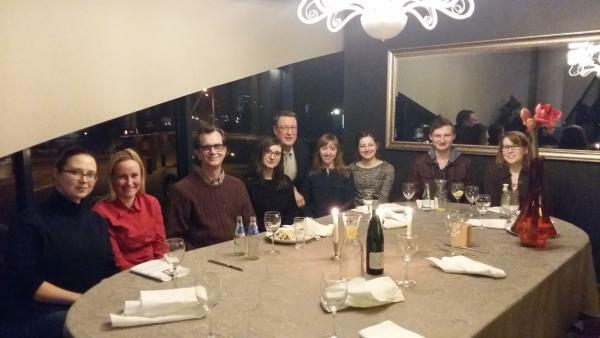 During the period of March 14-24th, Vytautas Magnus University welcomed visiting professor John C. McCall from Southern Illinois University, USA. Students of Social Anthropology had an opportunity to participate in the cycle of lectures, where they were in where they were introtudced to the visual arts of Central and East Africa: music, dance, cinema, and other populart arts. Students received an opportunity to learn how different fields of art deal with historic representation, cultural critique and political resistance. 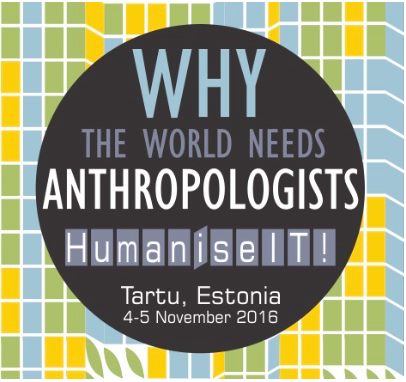 SAC invites you to study Master's Program in Social Anthropology, the first anthropology program launched in the Baltic States. More information you can find here. 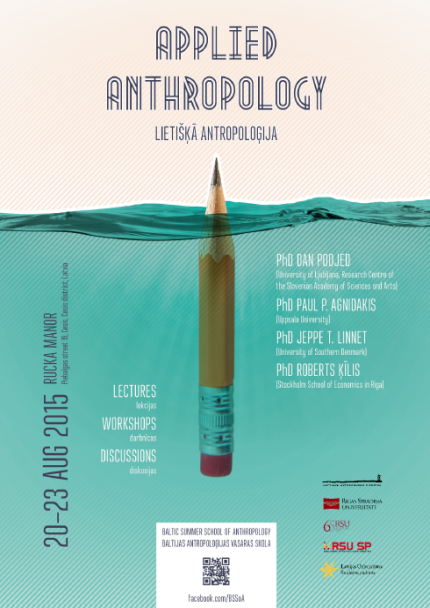 BSSA 2015 team and Latvian Association of Anthropologists announce the 3rd Baltic Summer School of Anthropology, the topic is "Applied Anthropology". Don't miss a chance to participate! More information you can find here. More information about the program of the conference you can find here. The objective of this course is to get past the misinformation and stereotypes about Africa in mainstream media, and gain deeper insights into the problems and potentials of contemporary Africa. This course examines African societies from an interdisciplinary perspective. After an overview of African history, the course focuses on life in present-day Africa.